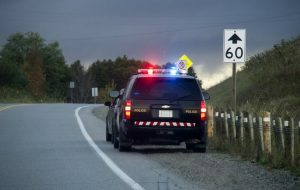 There are numerous reasons for license suspension. Whatever the reason is, it indicates that you are a risky driver and thus the insurance company increases the premium. It is not an easy task to go back to the road again in such situations. Car insurance with a suspended license is possible but the premium? The premium depends on the offense criteria and the state you live in. Is Your License Suspended or Revoked? Why Do You Need Car Insurance in Such Situation? How to Get Affordable Car Insurance with Suspended License? How Long Will a Suspended License Affect My Car Insurance Rates? There are few more reasons of license suspension. We have created a complete article regarding this, find it here. There is a huge difference between a suspended and revoked license. However, in both cases, you can?t drive on a motorway as long as you don?t settle the situation. A suspended license is possible to regain after a certain period of time. You can drive again legally as soon as the suspension period passes. However, a revoked license doesn?t have any option to reclaim. A revoked license means your driving license has been terminated and there is no way to gain it again until you speak with a judge. But, you can get a new license by taking written exam and field tests. It is always good to go for a new license if you face such a situation. With a suspended license you can?t drive your vehicle. Hence, you may don’t need to continue paying for the policy. But, later, when you will apply for a policy again, the insurer will ask higher premium because your insurance policy has a short break! A driver with suspended license needs car insurance only if there are other drivers who use the same vehicle under the same policy. Another reason is you may get the approval to drive from home to work only with your suspended license. In such case, you must have the insurance policy with you. It is an exception though! Risk! The most used work in the car insurance industry. An insurer regulates the premium depending on the risk rating. A suspended or revoked license means you did something very offensive that forced the authority to suspend/terminate your driving license. Most of the times, insurers put your policy in the closed list if you receive such a penalty. There are a few exceptions as well. If your insurer doesn’t cancel your policy, that?s great. If you apply for a policy again, they may grand you as a high-risk client. Premium boosts unexpectedly as soon as you receive a suspended license letter. It is something that will happen for sure. You may end up with paying twice or thrice more than a normal person if you have ever faced suspended license issue. There are a few steps that you can follow to convince the insurer to give you an affordable policy. It is the first step that you should go for. If your license is suspended, you can always apply for reconsideration. If it works that is great. You can tell the insurer that you are trying hard to gain back your policy. 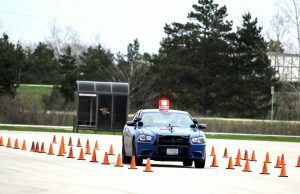 Taking a defense driving course is another thing that you must follow. You may think it is something old-school stuff but no other way. Moreover, taking a course will help you to reclaim the lost knowledge of driving. You will get a fresh memory on the safety features and rules which can help you a lot to lower the insurance cost. This is really a hard task to do. If you want to get a lower premium, then you must prove that you are a safe driver and you will not cause an accident because of a lack of responsibility (accident is different). So, drive carefully and prove yourself a safe-driver. Each insurance company is different and follows their own law. The auto insurance industry is very competitive so there is a huge chance that an insurer will give you a policy with low premium. We offer a FREE QUOTES SERVICE, where you can compare the plans from the top insurance companies. Yes, you can get. However, there is an influence of the insurer and your state law. In the USA, most of the states allow having auto insurance in such issue. But, the premium will be higher than usual. Yes! It?s almost guaranteed that the policy rate will go up. You have to pay at least twice of a normal policy. However, you have to shop around and convince your insurer to get a good deal. It is not possible to identify a specific time period. It depends completely on the insurer?s policy and the offenses behind the license suspension. However, if you can keep a good driving record for the next 1 year, the insurer should reconsider the premium rate. You can do some driving courses to shorten the time period. Getting car insurance is a quite tricky matter if your driving licenses get suspended. Everyone does not look for such a policy. You need to be cautious to find a good deal.